Everyday has a purpose and a reason for being, with a cosmic mission to be accomplished while it last. Every 24-hour period has its guides and influences that must nurture and fortify it to ensure its fulfillment. After thousands of years of careful observation and patient study, our grandfathers of ANAUAK (the ancient Mexican homeland that expands from Nicaragua up to the top of Canada) developed a system that enabled them to identify and isolate these influences. And they called these their respectable companions. 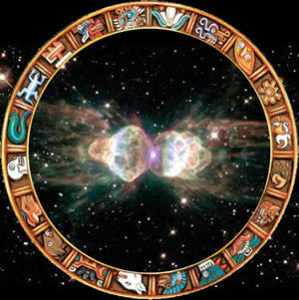 With this in hand they learned to respect everybody and everything that surrounded them, bringing harmony and peaceful coexistence with and within ILUIKATL (the cosmos) which was the foundation for all their amazing achievements.